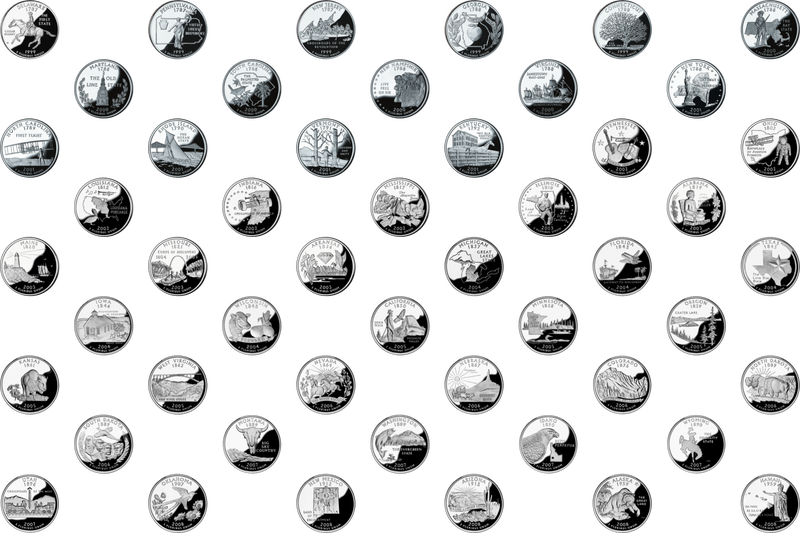 State quarters were first circulated in 1997. When I was maybe 5, I remember collecting state quarters was pretty popular- even my older brother was into it. He had a big cardboard map of the US with circles cut into it on each state where you would put the state’s quarter. I also remember getting a state quarter to be kind of a novelty, since they were just starting to hit circulation and lots of people were holding onto them because they were kind of cool. Fast forward to 2018. I had ten quarters in my wallet this morning. Of those, seven were state quarters. They’ve become so commonplace that it’s more rare to find a non-state quarter. I also think the Presidential $1 coins are way cooler. They have words written on the outside of them! Skimming the wikipedia page for the Presidential $1 coin, it seems that as of 2011, there were $1.4 billion in uncirculated coins, and likely $2 billion as of 2016. This was a part of the plan (that was never implemented) to pull the $1 bill from circulation (aside- they should totally do this. $1 bills are disgusting and smell bad, since they’re made of a fabric that holds smells and are the primary currency). Tl;dr- state quarters are cool, used to be kind of rare, now more common.